Energy Works Hull (“EWH”), one of the largest renewable energy facilities of its kind in the UK, has engaged the global engineering firm Black & Veatch as Principal Contractor to oversee its final stages of commissioning. 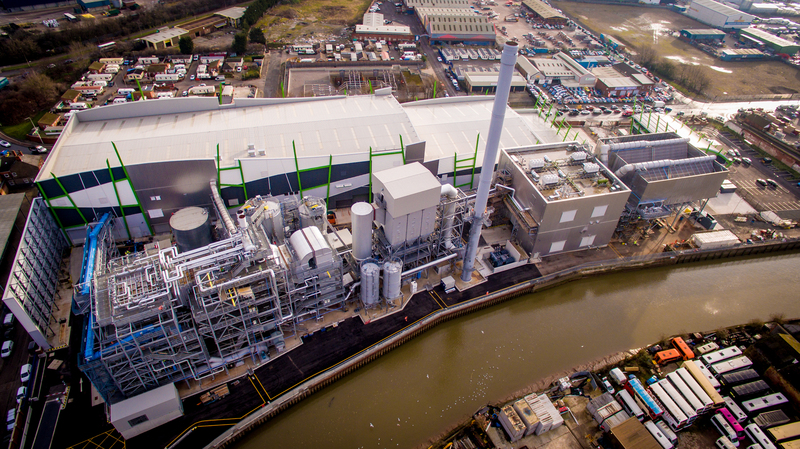 EWH, a combined heat and power (“CHP”) enabled gasification plant, will make an important contribution to the sustainable management of Hull’s household and industrial waste. It will generate around 24MW of electricity – enough to power over 40,000 homes – and will have the capacity to divert up to 240,000 tonnes each year of household and industrial waste from landfill. It also will reduce carbon emissions by about 30,000 tonnes. At its peak, over 500 people were employed during the construction phase and a further 25 jobs will follow in the operational phase. More jobs are being supported in the supply chain. The move to engage Black & Veatch follows the decision in March by shareholders of EWH, who include Bioenergy Infrastructure Group (“BIG”) and Noy, to terminate MW High Tech Projects UK Limited’s engineering, procurement and construction (“EPC”) contract. BIG recently announced that Ince Bio Power, its facility near Ellesmere Port in Cheshire that uses similar technology as EWH, is fully operational. Ince Bio Power is currently the largest advanced conversion technology (“ACT”) facility in the UK but will be overtaken by EWH once the Hull plant is fully operational. “Black & Veatch has demonstrated both technical capability and organisational commitment to the renewable energy industry, including as a lead contractor at our Ince Bio Power project in Cheshire, and we are delighted to have brought them on board in Hull. This represents very good news not only for this facility but for the city of Hull. We have regenerated a brownfield site, will be enabling other local businesses to reduce their carbon footprint, and will be providing clean energy to the local grid,” said Hamish McPherson, CEO of BIG. “Black & Veatch are pleased to be supporting Bioenergy Infrastructure Group to oversee the final stages of commissioning of the Energy Works Hull (EWH) project,” added Peter Hughes, Director of Business Development – Europe, Black & Veatch.